MUFF WIGGLER :: View topic - Are all PCIe slots short (or are there long ones)? Are all PCIe slots short (or are there long ones)? I'm looking at obtaining a PCI (PCIe) sound card for my project computer. One I am eyeballing is the RME Hammerfall, which is a PCI card. 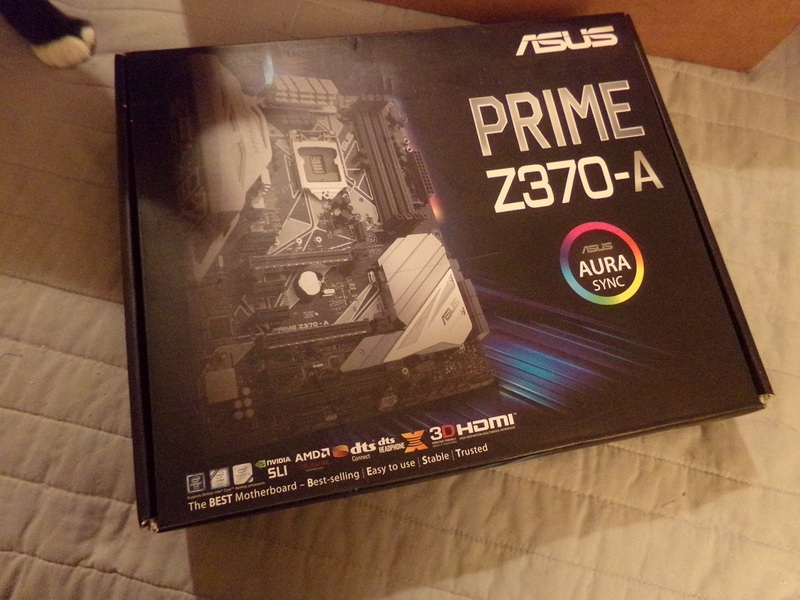 My motherboard is an ASUS Prime Z370-A. It has several expansion slots, and per the manual the short ones are PCIe 3.0/2.0 1 ...... the long ones are PCIe 3.0/2.0 16. You mean to use old PCI in PCIE slot ? It's a no no ! You can use short PCIeX4 card in a long PCIeX16 slot. Well, no ... a new PCI device (aka "modern") in a PCIe slot. Would that make any difference? Well, PCI cards are ancient by today`s standards. You can`t use those in PCIe slots, regardless of their size. You would damage both the card and your motherboard. Regarding latency: it is perhaps better to measure latency in samples instead of milliseconds. Buffers have a certain size in samples which correspond to a certain amount of time relative to the given sample frequency. A buffer of 32 samples is something like 0.7ms in 96kHz and 1.5ms in 48kHz (I didn`t do the exact math, but you`ll get my point). The adapter looks viable. Price is right as well. Does the use of an adapter affect performance in any way? The expansion chassis could also work, but the added cost ($150.00) makes the attraction of the lower priced PCI cards evaporate. Good suggestions though! Thank you for putting in the time it took to dig all of that up for me!! I understand that (the latency bit), I was attempting to be brief when I posted the latency figures, brevity is rare in my posts! But thanks for putting up that information ... there is an entire planet of readers that information of that type will help out. It is good to be succinct, as you were in your reply. However, on second look the two slots appear to have very different numbers of contacts ... the PCI Express x16 slot looks as though it has far more contacts than the PCI 2.0 32 Bit slot. So it appears to be a complete No-Go. (exasperated long sigh "Oy ...."). ~Gathering my self here~ ... Ok then, it appears I'm going to go with a PCIe audio interface card. Any suggestions beyond the RME HPSPE AIO (PCIe)? I'm planning on expanding ~which ever~ card via ADAT, so ADAT I/O is mandatory. I really don't want to spend a lot of money on the card, so the over-$1K units are not eligible as a choice. Something like this is good (link below). ADAT I/O and multi-pin connectors for analog I/O (and headphones, MIDI, etc..). The cost of a new one is steeper than I'm wanting to go with, but used may be viable. I have access to one of the HDSPE-AIO cards for less than $500 (used). I'm ok with used (unless there is some reason I should not go that way). I reckon since there are essentially no moving parts, there is not too much risk involved with buying a used unit, given it isn't beat up or obvious visible damage. I've sure read a lot of very positive reviews by end-users of the RME units, and owners seem to be quite loyal to them as well. But I am open to suggestions! I have a second hand raydat hanging off my Mac Mini as its sound card. Second hand RME is a great way to go. I had no idea that RME is that expensive in the US. The HDSP AiO is like 600 Swiss Francs incl. VAT over here, which is 600 US dollars. I got my PCIe Raydat second hand incl. wordclock expansion for about 350. They pop up quite regularly here. Do you know of a way to source stuff like that in Europe? I hath snaggeth yon RME HDSPe AIO (rev 1.4) ... for $450.00 shipped! They sell new for $899.00 pretty much anywhere you look. The seller (eBay) had it at $520.00 shipped, I offered $450.00 shipped and inside of 30 minutes the offer was accepted. I sent the munnies, I rec'd the tracking number. Seller has hundreds of transactions, been an eBay member since 2008, with a 100% positive feedback rating. Now, I'm waiting on a reply for the offer I made on a Behringer ADA8200 (ADAT equipped ... 8in/8out). These things have so many great reviews and high owner ratings, Sweetwater and Amazon rate them at 4.5 stars (out of 5), hundreds of glowing reviews by users. Many users pair this preamp up with RME PCI or PCIe interface cards as well. They sell new for $229.00, I've offered the seller $175.00. We'll see what happens. Well, no, not myself anyway. I know there are plenty of ways to go about it though. The thing that kills a lot of purchases is the US Dollar to ~whatever~ (Euro, Brit Pound, DM, Swiss Francs, whatever) and then the shipping. If Paypal is used they tag on about another 5% (or more) to the exchange rate as well. The other thing is if for some reason the item needs to be returned to the seller the return shipping is a hard hit. I did ~ok~ on this one, I mean I bought it at essentially half price, and it appears to be in good shape. I suppose. The multiface/digiface had an updated pcie (1 lane ) option to replace the old pci format. I guess it is the same as the AIO card you bought. Does this fit to a new motherboard? I might be facing a similar problem when I update my pc. The multiface/digiface btw is a serious soundcard a lot more stable than the later usb/firewire rme cards offering a lot smaller latencies. Compared to my firewire 800 it was night and day and I don't even want to think how those usb interfaces would perform comparatively. I can always recommend the Motu 828 MkII. They seem to be quite bombproof. This is how mine was packed when shipped cross country. Bent rack ears? This probably caused bent rack ears on the gear it collided with. I think this RME PCIe card is a good match for the rest of the new computer I'm building. 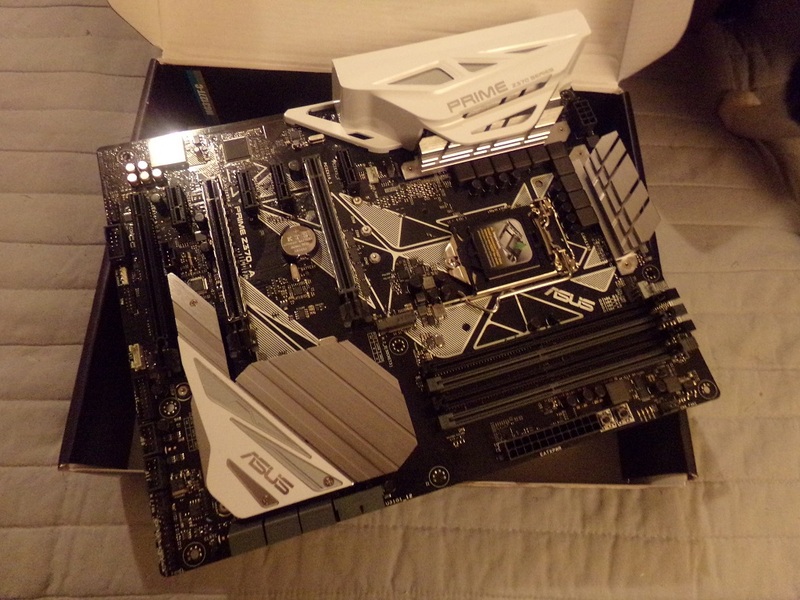 ** ASUS Prime Z370-A motherboard. ** Intel i7-8700 "Coffee Lake" CPU - 6 cores, 12 thread, 3.4ghz. ** Cooler Master CPU air cooler. ** 16GB Corsair "Vengence" (2x8GB) DDR4 3000mhz RAM. ** 250GB Samsung EVO 970 - M.2 NVMe NAND SSD "boot drive". ** 1TB Toshiba P300 HDD mass storage - SATA3 7,200 rpm (but I'm adding more, I'll be making up some type of backup system, possibly RAID). ** 500 watt EGVA "Bronze 80" rated PSU. ** RME HDSPe AIO PCIe audio interface w/ADAT. ** MIDI Fighters "Twister" MIDI controller. ** MIDI Fighters "3D" MIDI controller. So I think this system is very well balanced with components known to work well with one another. Did the entire pile of gear for about $2,000 total. I think I did pretty good! Now I just have to put the damned thing together. Thanks so much for the guidance, everyone! When you got everything up & running, please report back and tell us how you like your new audio workstation! Everything regarding my entire system is in the project thread linked in my signature titled "Modular computer". So just click on that and you'll be taken directly to the project thread which includes updates, construction methods, component and parts sources, specifications, and so on. As well as quite a few pictures. SCORED THE BEHRINGER ADA8200 just minutes ago! Seller had it at $220.00, I offered $175.00 shipped and my offer was just accepted! I paid the man, so we're on our way! This pic is right from the ad itself, it's the one I just bought. So it appears I'm good to go .... well, other than the "lightpipe" ADAT cables. Since Member *andybizarre gave me some guidance on that I'll be looking for a few of those now! (Thank you!). I'll be sure to hit up the thread you linked!! MOTU 828 mkIIs often had problems with burned out firewire. Better don't plug firewire on this at all. People who pack like this should be put into a box and shipped across country to see how THAT works out for them! 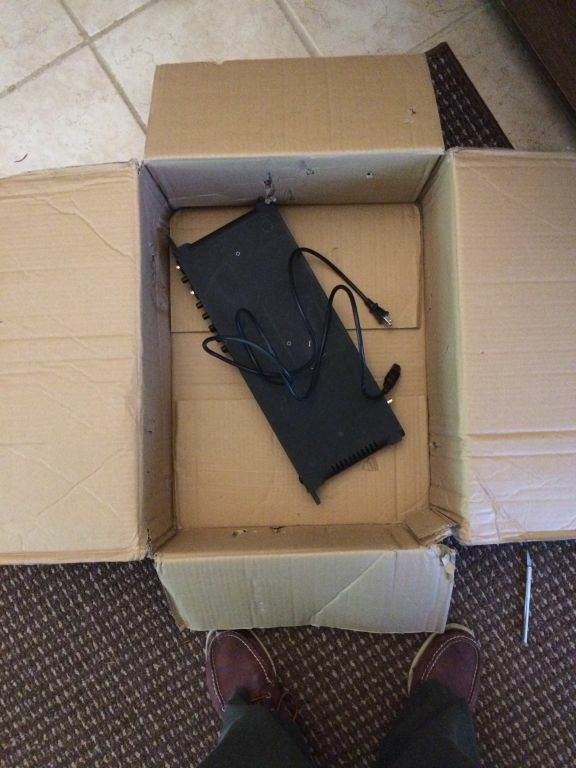 I bought a used Roland controller keyboard and when it arrived the pitch stick had punctured the cardboard box and was literally sticking out. Amazingly it had not broken and worked fine. Roland FTW..... but I actually prefer wheels, lol. Is this with a thunderbolt adapter or what? The RME PCI cards do not work with any of the PCI-e to PCI adapters I've found. I tried quite a few because I didn't want to have to upgrade my PCI HDSP for a new motherboard. If you don't already have the card, you should definitely spend the extra dollars to get the PCI-e version. While you can still get PCI legacy motherboards, it's not worth building around your old soundcard. If you don't already have the card, you should *definately spend the extra dollars to get the PCI-e version. While you can still get PCI legacy motherboards, it's not worth building around your old soundcard. This was also true for RME's firewire 800 series I believe. I had a Modwright Valve hifi Preamp worth about £2000 sent to me in a box like a cornflake box once. Luckily only the power switch was damaged and Modwright sent me a replacement for free.